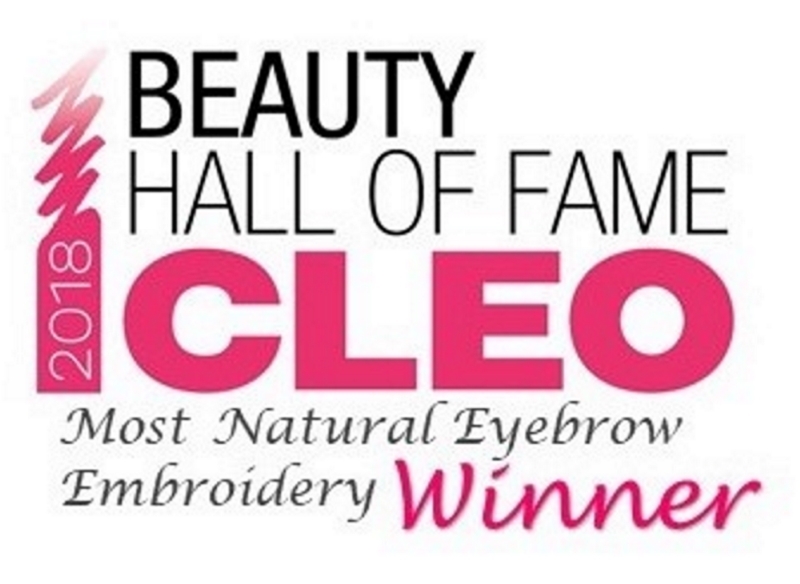 KO BROWS’ K-Natural Eyebrow Embroidery is the Winner of Singapore CLEO Beauty Hall of Fame 2018 – Most Natural Eyebrow Embroidery. Brows are an important feature because they frame your face and can alter your appearance. K-Beauty favours a thick and straight brow, because it makes you look younger. KO BROWS Brows Embroidery adopts the hair strokes and makeup techniques to create natural style for your eyebrows. Drawing perfect brows takes skills and time. If you have neither, why not leave it to the pros by opting for K-Natural Brows Embroidery? The advantages of 3D techniques fill in eyebrows that are empty or sparsely, three-dimensionally expressed just like real eyebrows as it is drawn strand by strand as lines along the shape of eyebrows. To further enhance more natural and defined brows, 6D eyebrow embroidery techniques creates more natural lighter strokes. We have various types like Natural Embo, Gradation Suji, Makeup and 6D combo for various styles and suitable for both Guys and Ladies! Guys, it’s time to achieve new image and stand out from the crowd today with KO BROWS Brows Embroidery for Men! At KO BROWS we does customized Brows Embroidery and provide the best suitable eyebrow design for our customers. Comes with 1 free touch up. Experienced Korean specialists. Private rooms to ensure your utmost privacy and comfort. Imported Ingredients. Free Consultation. Feeling vexed over “blotched” eyebrows? You can visit us for a consultation on how we can help you. Click on Promotions to read more! Click Here to Book An Appointment with us! How long will eyebrow emboidery last? It can last 1 to 2 years, depending on individual ‘s skin condition, lifestyle, skin cells turnover rate and Metabolism. Thereafter, you can still change the style of your eyebrows. The color doesn’t come out right after exfoliation, Usually, it takes 28 to 35 days to regenerate the skin, and in that process, pigment under the skin comes up. It is retouched about one month later. The dead skin cells usually flake off at intervals of 28 weeks. The semi-permanent makeup goes through an incision in the skin, pigment injection, scab formation and exuviation. It takes at least one month, at most three months to look natural. When can I start to draw my brows or apply makeup to my brows? In order to avoid infection to your eyebrows, any form of brow makeup for 1 to 2 weeks after getting your eyebrow embroidery is strongly discouraged. It is still in the healing process before the wound is fully healed. Why do my eyebrows look darker? It is due to the oxidation of the color pigment. Your eyebrows will look lighter from the first session as your skin heals over the pigment after 1 to 2 weeks, depending on individuals. It is recommended one month after the first session. Does the eyebrows embroidery process hurt? To assist you with almost painless procedure, numbing cream will be applied before eyebrow embroidery treatment. Please inform us your pain tolerance before the procedure, we will extend the waiting duration of numbing cream before your treatment. When will the peeling stop? About after 1 to 2 weeks. The skin will dry up and the scab will start to peel off. Please do not peel the scab as it will remove the color deposited onto the eyebrows. Avoid peeling or scratching the scab as it may hinder the healing process.